Hot Deal! We've marked this unit down $6107 from its regular price of $13995. This Fiesta is a small car that's big on fun. The roomy cabin and advanced tech make it an attractive subcompact. 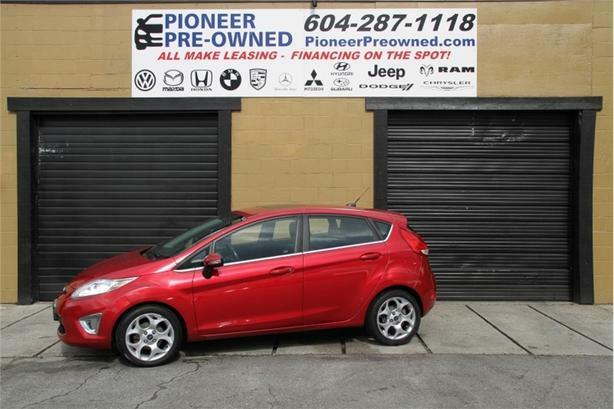 This 2011 Ford Fiesta is for sale today in Mission. Ford has changed what it means to be a subcompact car with the Fiesta. Cars this size used to be penalty boxes that nobody wanted to drive. This Fiesta is a different story. Fun to drive, small car efficiency, and impressive tech all in a great looking car. The Ford Fiesta is a game changer. This hatchback has 123832 kms. It's red in colour. It is powered by a 120HP 1.6L 4 Cylinder Engine. This vehicle also has the following features: Bluetooth, Premium Sound Package, Sync, Siriusxm, Aluminum Wheels.